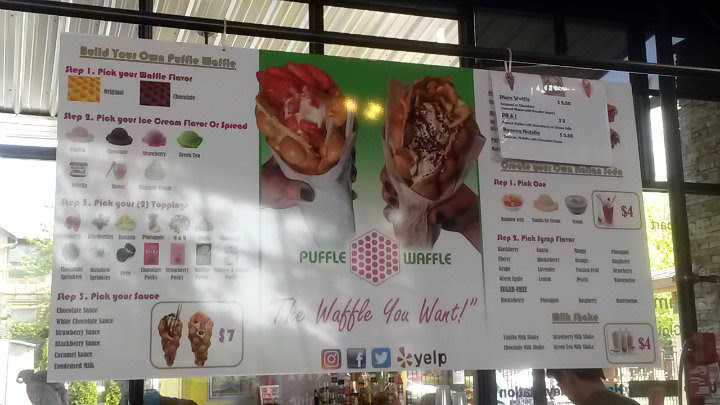 Puffle Waffle is located at the Happy Valley Station pod (SE 145th and Sunnyside) in Happy Valley, Oregon. Yet another popular Asian street food has graced Portland. 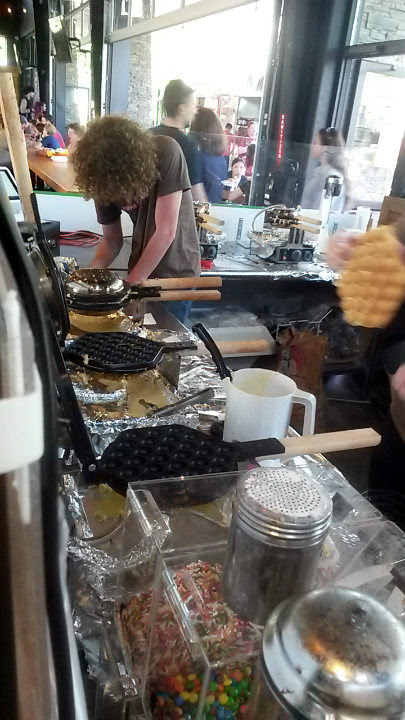 This time, the egg waffle (or bubble waffle), found mostly in Hong Kong and Macau, exists in PDX. 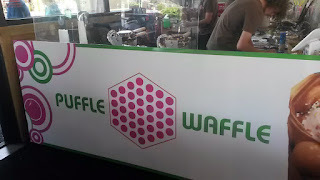 The waffle itself is made with a special waffle iron and molds custardy spheres into the waffle. 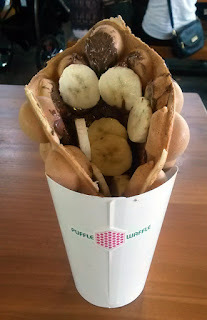 Here, the "puffle" is folded into a cone, placed in a cup for stability, and gets fillings of your choice. 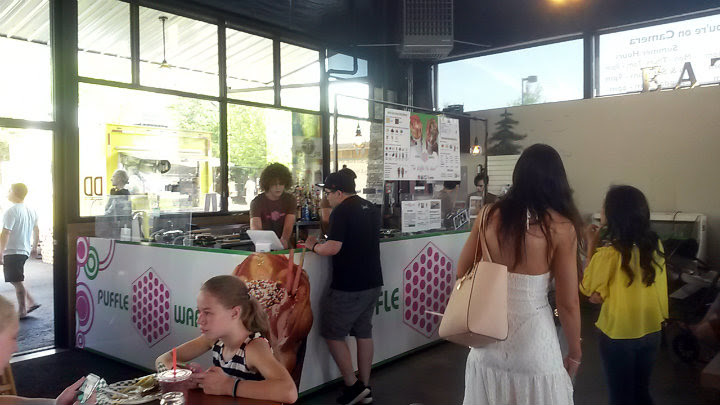 Puffle Waffle opened on April 17, with its grand opening held about a month later. Fillings can include ice cream or spreads, with several toppings and sauces. Numerous combinations here. 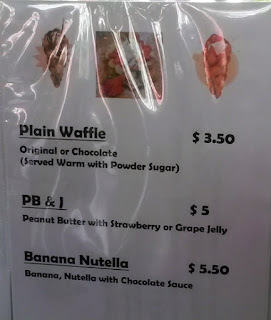 Yup, you can even get Pocky in your puffle here (should that be a clever slogan?). Since Puffle Waffle opened in time for the summer, expect ice cream to be a very popular filling choice. It appeared that Puffle Waffle also tried serving savory options, but they should be just fine with a sweet-exclusive menu. 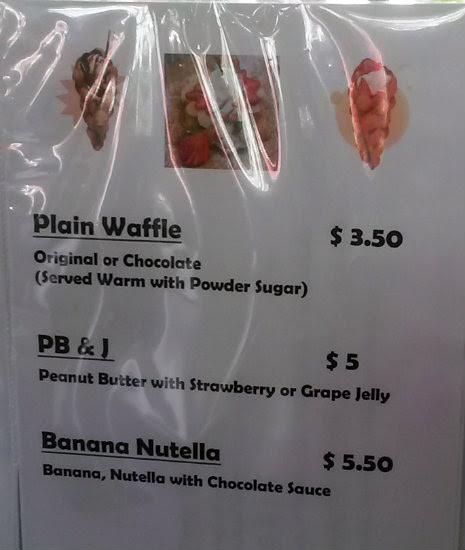 I got the Banana Nutella Puffle Waffle ($5.50). 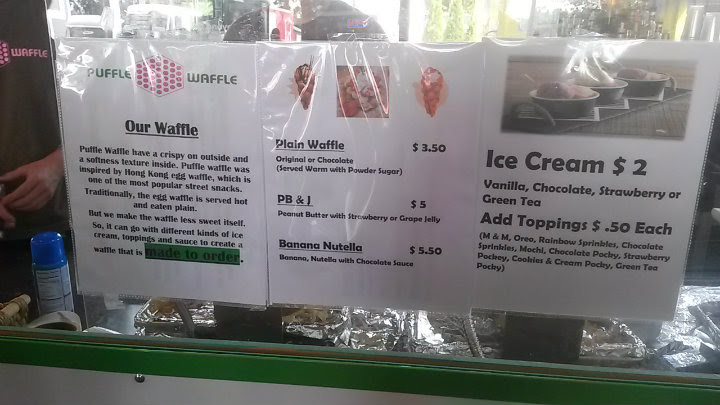 As you'd expect, a bubble waffle is filled with nutella, sliced bananas, and chocolate sauce. 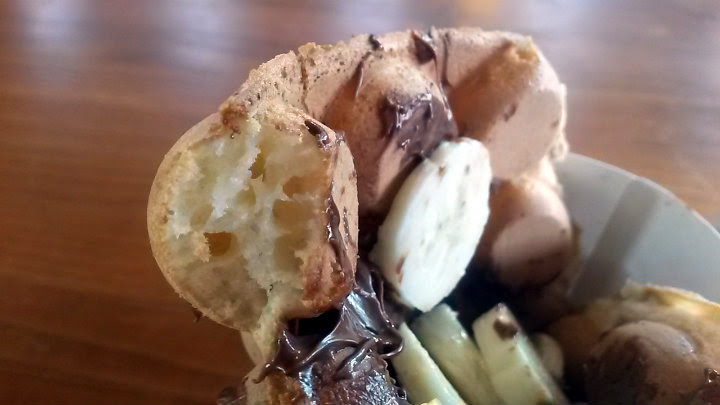 It's a simple, yet popular and delicious treat. 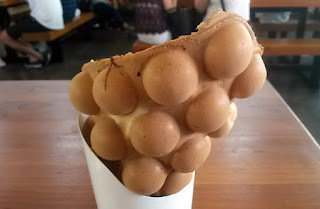 The bubble waffle itself is well made. Its appearance alone is a welcome sight, a noticeable difference from the crunchy waffle cones or sugar cones we usually see. 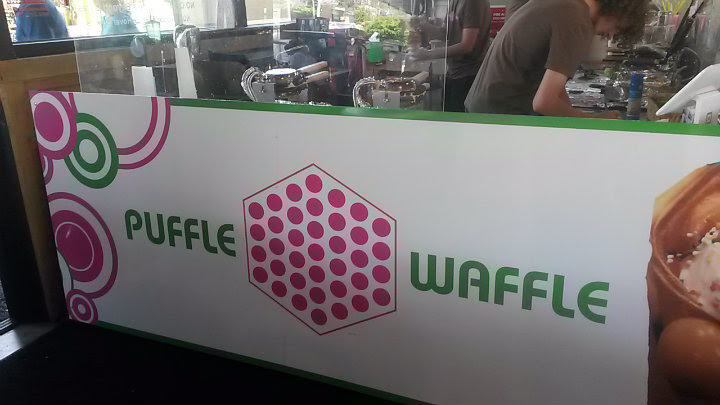 The more attractive spherical waffle design is on the outside, highlighting the "bubble waffle" concept. 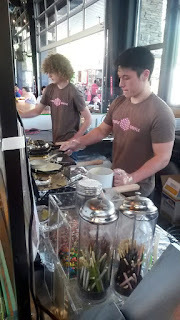 The "flattened" side on the inside and usually covered up with ice cream, spreads, toppings, and sauces. The flavor reminds me of the Mini Kimi balls I grew up eating in Hawaii. Sweet and custard-like in flavor. When I arrived, a line had formed for Puffle Waffle. With a few people in front of me, the wait time was about 10 minutes. 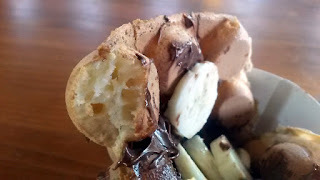 Very nice recipe Aaron, I really like that, I am having one another recipe with Waffle, you can try it and please share your experiences, visit my blog to read that, might be useful for you.